Scott Quigg. The undefeated super bantamweight challenged Jason Booth on Saturday night in Bolton for the British title and won when Booth’s corner did not let their man come out for the eighth. Quigg was taller, stronger, faster and younger, but Booth was still his toughest opponent to date, with many pundits predicting the youngster might be out boxed by the seasoned pro. However, from the first round Quigg established his physical advantage and slowly wore his opponent down on the inside. Using his effective jab to work openings, Quigg landed body shots and blows to the head more frequently than any other of Booth’s previous 43 opponents. Booth has challenged for world titles in the past and did not look out of his depth, but on Saturday he was thoroughly outclassed by Quigg, who could argue he won every round before his opponent retired. Quigg, who only had 12 amateur bouts before turning professional, has progressed rapidly despite being just 23 – he deserves a lot of respect for what he has accomplished. Edwin Rodriguez v Will Ronsinsky. Both American fighters went into this super middleweight bout undefeated and it always seemed like it would be a close and exciting bout. By the end of the 12 rounds there was no doubt that the two boxers had given their all and had entertained the fans throughout. But the judges’ and their ridiculous scorecards did their best to mar the spectacle. All three judges scored the bout 100-90 to Edwin Rodriguez (photo), giving him every round, which was absurd given the closeness of the bout. Rodriguez landed the cleaner and more varied punches but Ronsinsky was always in the bout. Stalking his opponent around the ring, applying pressure throughout and troubling his man whenever possible with his jab and straight right, Ronsinsky performed excellently. In a fight that could have been given to either boxer, the judges appeared to be watching a different contest. Hopefully, Ronsinsky gets the credit he deserves and the rematch that both boxers should seek. Miguel Garcia. On the undercard of Nonito Donaire’s bout against Omar Narvaez, undefeated featherweight contender “Mikey” Garcia, sent Juan Carlos Martinez to the canvas three times before the referee stopped the bout in the fourth round. The first knockdown came in the third, when Garcia used his jab to open up space for his right hand which dropped Martinez. The game opponent got to the end of the round but the fourth was more of the same. Garcia floored Martinez twice with combinations finished with big rights. Martinez got up every time but as Garcia went in to finish the job, Martinez was unable to defend himself and the referee brought the fight to an end. Garcia improved his perfect record to 27 wins, with 23 coming by knockout and says he wants to fight the big names of the division. 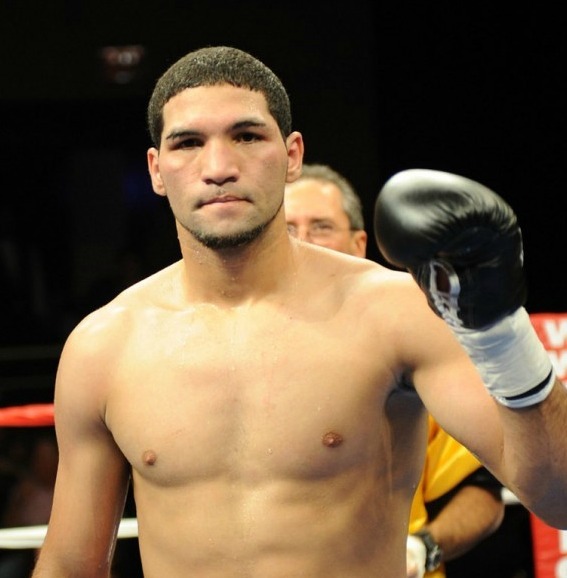 However, he is unlikely to get in the ring with the likes of Yuriorkis Gamboa or Juan Manuel Lopez until he becomes more of an attraction. Nonito Donaire to fight four times in 2012. After his disappointing victory of over the evasive and defensively-minded Omar Marvaez on Saturday night, everyone wanted to know when Donaire would be back in the ring. Luckily for all involved, Donaire’s promoter, Bob Arum, said that his man would have “a minimum of four fights in 2012”. That is fantastic news if it is true. Donaire is one of the sport’s best fighters, biggest stars, and will only become more popular if he fights as regularly as suggested. With valid opponents in his current weight division and many in the higher divisions, 2012 could potentially see Donaire become a three of four weight world title holder, which would be an unbelievable achievement. Too often boxing’s best athletes do not fight frequently enough and that only damages them and their sport. We will only know if Arum is being sincere in a year’s time, but hopefully Donaire can go out and showcase his skills in front of everyone so he can be appreciated and marvelled at.